I love the look of these benches. There are so many design options. 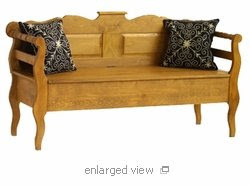 Lovely in an entry way, at the end of a bed, or try using for seating at dinning table.